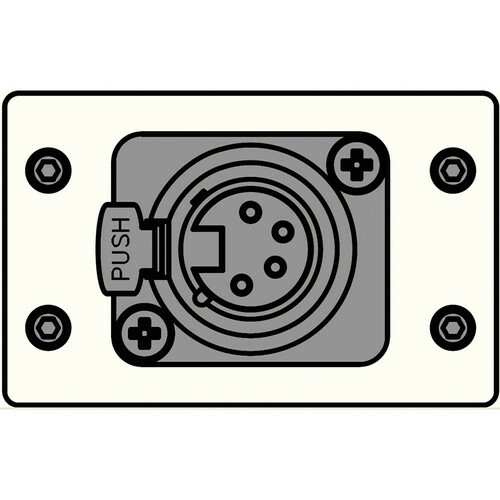 The IPS-C610D-WHT IPS Control Insert (White) from FSR is designed for use with IPS Wall Plate Opening or Under Table Mount. This insert features a single XLR 4-pin female (Neutrik) connector. The IPS series is a line of interconnect solutions designed to meet virtually any audio-video interface application need. IPS units can be combined to create custom solutions that mount on the wall or under tables. They are available in a wide variety of colors to match the decor of the installation area. This solution is well suited for use in classrooms, conferences rooms, lecterns, lobbies, churches, airports, hotels, and hospitals, among many other possible uses and applications. This control insert features a single XLR 4-pin female (Neutrik) connector. 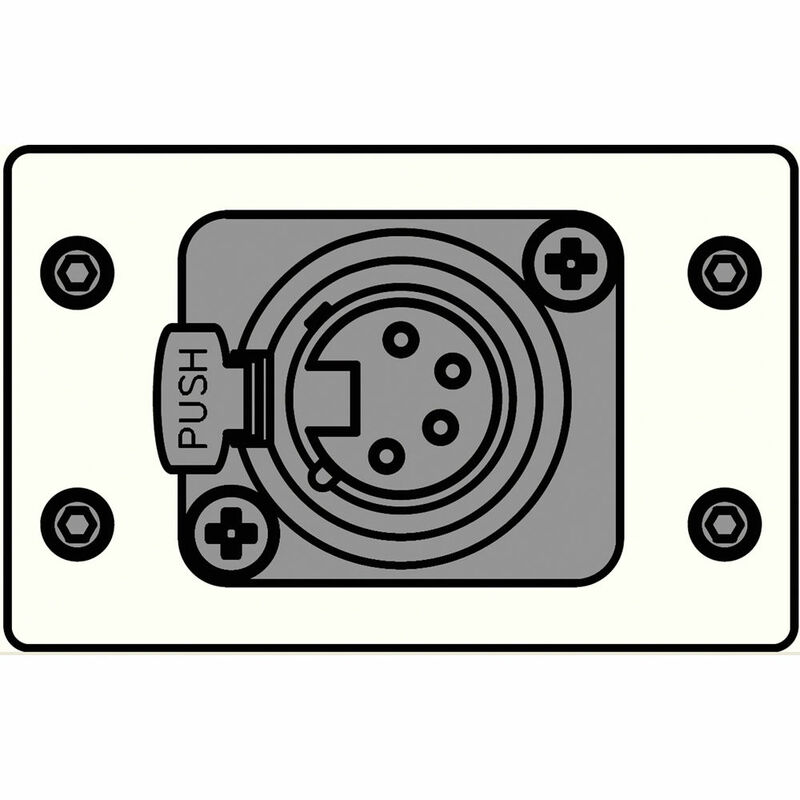 The insert can be installed in any compatible IPS Wall Plate Opening or Under Table Mount. IPS series products designed to meet virtually any audio-video interface application need and can be combined to create custom solutions that mount on the wall or under tables. IPS products are available in a wide variety of colors to match the decor of the installation area. This solution is well suited for use in classrooms, conferences rooms, lecterns, lobbies, churches, airports, hotels, and hospitals, among many other possible uses and applications.